Between June 2018 and February 2019, the concert series »Music for Hotel Bars« presents six evening-length works by Mark Barden, Anna Jandt, Neo Hülcker, Martin Hiendl, Leo Hofmann, and Genoël von Lilienstern, each commissioned especially for a hotel bar of their choice in Berlin. The challenge for the composers, all of whom come from the genre of New Music, is to craft what might be provocatively called “functional music” in an artistically satisfying manner. While not a concert in the strict sense, the Berlin concert-going audience is invited to share an evening with the hotel’s normal guests and enjoy drinks, conversation, and of course newly composed music written for that precise venue. Concerts are free of charge and handicapped accessible and each hotel bar will offer an affordable signature drink for the evening. 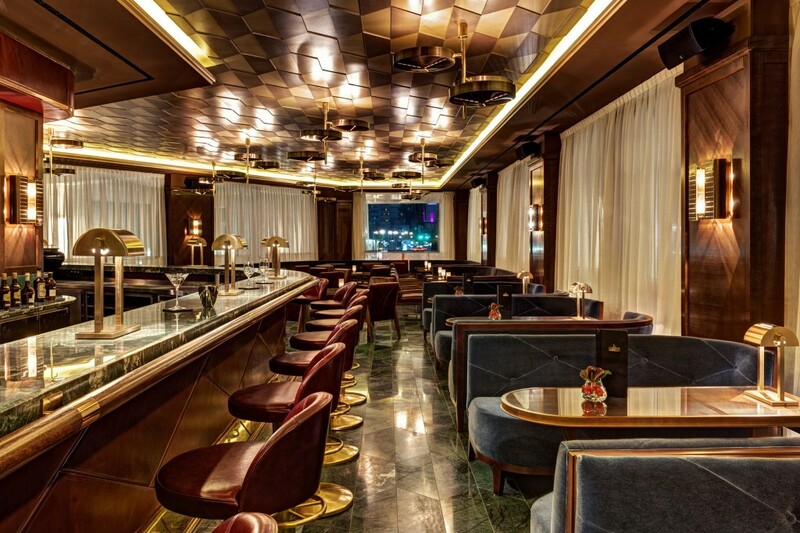 Stylish interiors from the 1920s, a quartertone digital piano, and many good drinks are on offer in the Lang Bar at the Waldorf Astoria. The bar’s glass semicircle opens to a view of the renowned Gedächtniskirche. In still / arriving, interdisciplinary composer-performer Martin Hiendl aka Laure Leander created a dialogue between live pianists and a pre-recorded tape part. Hiendl will apply this principle to a larger ensemble in an evening-length work for the Zafraan Ensemble that may well extend far into the wee hours of night.